Carpets have a wide variety of price points, starting at £2.50, up to £100+ per square meter of flooring. Like most products there is an element of “you get what you pay for”, however, it is possible to get some excellent flooring products for competitive prices. Here we will look at carpets, the different price points and how the technology of flooring has evolved meaning that the carpets are higher quality than in the past, cheaper and if you are prepared to pay a premium will typically last longer. Carpet: Expectations Vs Reality by Herts Carpets. Oxford 9814 plain carpet in Dark Beige, fitting in Harpenden, Hertfordshire. Polypropylene is effectively a by-product of plastic it is not porous, this means that the carpet will not absorb fluids, and will not normally pick up smells. Stain resistance – as above as polypropylene carpets are not porous they will typically not stain. This means that even when the dreaded red wine is dropped, with bleach cleaner this will come out. Strong colours – if you are choosing a bright carpet this will not run out of a polypropylene carpet, even if in the bright sunlight. Long lasting, these carpets will typically last for a long period of time. Bounce – after a period of time polypropylene carpets will reduce the amount of bounce that they have in their fibres. New technology which is often called “spring” or “bounce back” technology has been introduced with more expensive carpets, however for cheaper carpets this will not normally apply. What does this mean? Well, in high traffic areas such as corridors and walkthroughs in your house you may notice that the fibres begin to get compressed after a period of time. Oil based stains – these will cause problems. As the carpets are made from a form of oil, they are vulnerable to oil based stains, therefore you will typically need to get the carpet professionally cleaned if you do encounter an oil based stain. Therefore it is not recommended to carpet your kitchen with polypropylene carpets. Polypropylene carpets are manufactured using toxic chemicals, so when they are first installed they can leave a chemical smell. Don’t worry thought these will go away. Polypropylene carpets look great, and provide an affordable option for luxury in the home. There are now some super-soft fibres which mean additional comfort, which are mid-range carpet options. Carpet backing: Historically the backing of carpets, particularly those at the lower end of the market was made from felt or other materials, most carpets are now available in either a felt-backed, meaning that it is more flexible, and can be stuck down directly onto the sub-floor, or alternatively an “action backing” also known as a “hessian backing”. Action-backed carpets offer a robust backing which is long lasting, but will need to be laid with underlay. Wool carpets tend to be mid-range to high-end carpets. It is possible to get 80/20 combinations between wool and other synthetic fibres, using a combination of fibres this allows the great feeling and insulation of wool, along with the non-porous elements of the synthetic fibres, this way carpets are able to be stain-resistant. This is one of the key issues which wool carpets have, being the absorption of fluids spilt on to them. In terms of luxury and high-end carpets, silk carpets are the main option, these are extremely expensive and Herts Carpets offer a limited range of these at the current time. In summary for most properties synthetic carpets are absolutely perfect, if you want something a little bit more expensive then you can go with wool options or a combination wool and synthetic fibre, finally if you want the ultimate in luxury then silk carpets may be for you. Herts Carpets offer literally hundreds of different carpet options, book a free estimate with our team, we will come to you bringing our full range of samples and materials to you in your home. Book a free estimate today! https://www.hertscarpets.com/wp-content/uploads/2018/09/JPEG300_vsmall.jpg 0 0 hertscarpets https://www.hertscarpets.com/wp-content/uploads/2018/09/JPEG300_vsmall.jpg hertscarpets2019-02-28 08:50:052019-02-28 08:50:09Carpet: Expectations Vs Reality. Herts Carpets the St Albans based carpets and flooring business is pleased to introduce our new branding. This includes a new logo, a new website which is currently under development, along with the exciting news that we are expanding our team and locations that we cover! Herts Carpets was established in October 2016 and has quickly become one of Hertfordshire’s leading flooring suppliers. We have a team of 6 fitters, 2 estimators and are constantly looking to improve both our response times to our customer. “We have invested heavily both in our technology and our team, we have recently commenced the process of integrating a new CRM system, with a new digital marketing strategy which we hope will take our business to the next phase. We have in addition expanded our team which increases our reach outside of Hertfordshire, so we now cover Bedfordshire, Buckinghamshire and most recently the Hertfordshire/Essex borders. We have a new measuring-up process which we will be implementing over the next few months which should further improve both the speed and detail on the quotations which we provide. In turn this process should increase the work which we win. We have expanded our range of flooring materials further, and now offer over 5,000 different flooring products to our customers. These include; wood flooring, laminate flooring, LVT flooring, vinyl flooring and a huge range of carpets. Office; Unit 10 Verulam Industrial Estate, London Road, St Albans, Herts, AL1 1JB. A loop pile carpet is made from uncut loops of material which are looped through the carpet fabric and are typically available both flat and textured depending on the finish which is desired and also the material which is selected. Cut pile carpets are typically loop pile carpets where the loops have been cut! The loops in a loop pile carpet will typically have rugged appearance, and these carpets are generally considered to be one of the more hardwearing types of carpets and are appropriate for higher traffic areas, such as hallways and stairs. Loop pile carpets provide a contemporary and comfortable finish for your flooring requirements and are an ideal carpet for families or higher traffic households. Loop pile carpets are typically not recommended for households with pets, as pets claws can (sometimes intentionally) get into the loops which will in turn cause threads to be pulled across the carpets, which can be a fiddly and sometimes costly accident to rectify. A loop pile carpet can be expected to last above 15 years if it is correctly maintained and well treated. Herts Carpets recommend for all carpets that you hoover at least once per week, and then get the carpet professionally cleaned at least once per year. This will reduce the grit and fibres that get caught up in the carpet and reduce the speed at which it deteriorates along with reducing the stains contained on the carpet. Loop pile carpets can be manufactured from a wide range of different materials, from synthetic fibres to wool. Synthetic fibres tend to be cheaper, and also are generally more stain resistant which can be useful for households with children. Loop pile carpets, depending on the material from which they are manufactured, do tend to be very soft and are generally an extremely comfortable carpet underfoot. Herts Carpets offer a wide range of Loop Pile Carpets across Hertfordshire, including Carpets in St Albans, Carpets in Harpenden, Carpets in Radlett, Carpets in Watford, Carpets in Hemel Hempstead, Carpets in Welwyn Garden City and Carpets in Hatfield. Contact us today to get a quote for your loop pile carpets, a member of our team will be pleased to come to your property with samples and measure up. Choosing your carpet colour in Harpenden will in many regards be determined by the weather, no white carpet in the hallway, otherwise, particularly if you have children that’s going to get muddy. The Hertfordshire climate is changeable at best, as it is across the UK. Herts Carpets provide high quality flooring materials in Harpenden and across Hertfordshire, we have a long track record of delivering quality flooring at competitive prices. So, to get started you need to consider how long you are going to want to keep the carpet for. This will determine the colours which you are able to have, as the longer you have the carpet the more likely you are to get stains and marks on the carpet. In addition, if you have any children or animals this will certainly impact the life of the carpet and how long you will be able to keep it clean. Obviously carpet cleaning is an option, and modern techniques are very effective, so don’t completely rule out lighter colours, but they are prone to attracting accidents. Modern homes are increasingly having coloured carpets, with stripes and patterns all the rage. The challenge with these types of carpets is that you will need to buy a lot more than anticipated to get the patterns to match particularly if you have a large space, as the supplier will need to match the pattern. A common theme is greys (my wife loves this colour), and these are good with marks and stains, particularly if you choose a mixed type of carpet which contains an element of wool, but also some synthetic fibres. This will ensure that if there is a stain it can be removed relatively easily. Considering the area that the carpet is going to be located will normally determine the colour. Higher traffic areas will probably want darker colours as they tend to be more hardwearing, for bedrooms and living rooms lighter colours and deeper piles as they tend to be more comfortable. Pricing is critical, so if you are looking for carpet for rental property in Harpenden or the surrounding area then you will want a cheaper carpet, however with decent underlay this can make a difference, so it can still feel soft and luxurious. However, if you are looking for your own home, then you will definitely want a carpet which is either fully wool, or majority wool and minority synthetic fibres. Herts Carpets provide carpets in Harpenden and the surrounding area, we stock ranges from a minimum of £7.50psm up to £150psm for the most expensive lines. We can provide an immediate quote, and we would be delighted to do some business with you. Fill in our contact form today to get in touch! Herts Carpets are pleased confirm that our Hatfield mini-website is now available. This is part of our roll out strategy across Hertfordshire, we intend to become Hertfordshire’s leading discount carpet and flooring supplier. Hatfield Carpets will supply carpets, flooring, vinyl, laminate and other flooring materials to customers across the town. Herts Carpets are pleased to announce that our website for Bishop’s Stortford Carpets is now launched at the domain: http://www.bishopsstortford.hertscarpets.com. We will be providing a wide range of discounted carpets, flooring materials, vinyl, laminates, carpet fitting and wooden flooring. 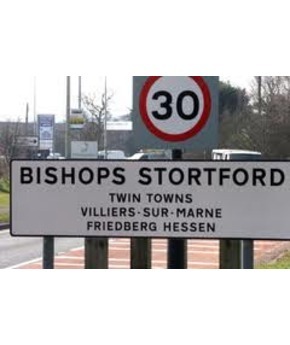 Matt Lenzie Director at Herts Carpets said: “We are pleased to confirm that our carpets website for Bishop’s Stortford is now live, this is part of our roll-out strategy across Hertfordshire and we look forward to working with the residents of Bishop’s Stortford for the years to come”. Herts Carpets are a discounting flooring and carpets supplier, working with some of the UK’s leading flooring manufacturers. People love carpet for its cushy feel and warm tone compared to the rigidity of flooring with a hard surface. Carpet is also relatively easy to maintain if properly cared for, making it a common choice in homes everywhere. When the time comes to have it installed, hiring a professional is a quick and painless way to get the job done. Herts Carpets are a specialist carpets and flooring supplier located and working in and around Hertfordshire, specialising in carpet fitting across Hertfordshire. Painless until the bill comes due, that is. Since saving money is important to pretty much the entire population of the world, countless DIYers will be having a go at fitting their own carpet. Just remember, it can be a frustrating job if not done properly, and there are some things that must be kept in mind in order to ensure success. To start with the extremely obvious, be sure to measure the room in which the carpet is going to be fitted. Once measured, go ahead and do it again – there is a reason “measure twice and cut once” is a ubiquitous saying. After any old carpet is removed and the subfloor is clean, the new carpet can be brought in. Some say to keep the carpet uninstalled inside the home for a day because it will either expand or shrink based on the climate inside, but whether or not you want to do that is up to you. Now that these preliminary steps have been completed, the real fun can begin. Fitting the carpet begins with the poorly named tackless strips, also called grippers, which is far more appropriate. These are small strips that do, in fact, have rows of extremely sharp tacks on one side, which will be what holds the carpet in place. The grippers should be placed about half an inch (about 13 mm) from the wall, though they should not be placed in doorways. Once this is completed, put the foamy underpad down in strips and staple it down with a staple hammer, using duct tape to keep the strips together. Finally, after all that prep work, it’s time for the main event, which is the unveiling of a brand new carpet. It should have already been cut, leaving some excess just to be on the safe side, and ready to roll out. After the carpet is in the proper position, it is time to take out your frustrations with a knee kicker. Use this tool to grip the carpet about a foot and a half (half a meter) from the wall and then ram the padded side with your knee, using as much force as safely possible. Not only will this stretch the carpet so it is attached to the grippers, but it will make you feel better to let loose a bit after what has likely been a tiresome process. A carpet stretcher will attach most of the rest of the carpet with little effort, and the knee kicker will only need to be used where the stretcher cannot reach. Once this step is completed, the job is pretty much finished, but for some trimming where necessary. This won’t be an easy job by any means, but it can be done with a bit of patience and know-how. Herts carpets are very pleased to fit carpets for our customers, and we provide a cost-effective solution for the following services across Hertfordshire: carpet fitting, carpet stretching, carpet repairs and carpet adaption. We offer a wide range of cheap carpets and flooring materials and offer highly competitive prices.